On the night of 20/21 January 2019 there will be a total eclipse of the Moon, which will be viewable from many areas of the world. This will be worth making the effort to see, especially for my readers in the western USA and Canada for whom it will occur at a sociable hour. 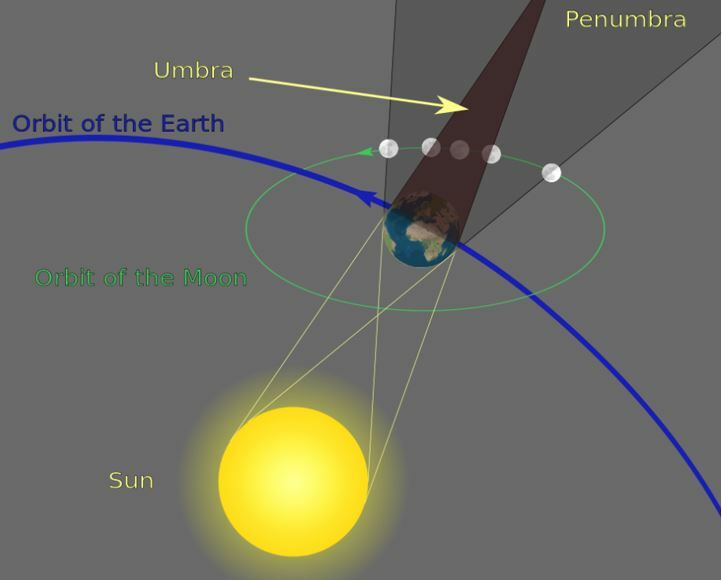 In the region marked penumbra the Earth partially blocks the Sun. At point P1 the Earth will start to block some of the Sun’s light from reaching the Moon. This will start at 2:37 AM GMT(UTC) and is the beginning of the penumbral phase. At this point the Moon’s brightness will dim a little, but this will be quite difficult to notice with the naked eye. As the Moon continues in its orbit, more and more of the Sun’s light is obscured, until after about an hour some areas on the Moon will get no direct sunlight. This is known as the partial phase. It will start at point U1 which occurs at 3:34 AM GMT. The part of the Moon which receives no direct sunlight will appear dark, as shown in the picture below. After a further hour the Earth will block all direct sunlight from reaching the entire Moon. This is shown as U2 is the diagram and this total phase will start at 4:41 AM In the total phase, rather than disappearing completely, the Moon goes a dull red colour as shown in the picture at the top of this post. This is because, even though no direct sunlight can reach the Moon, some light from the Sun is bent round the Earth’s atmosphere towards the Moon. This light appears red because visible light from the Sun is a mixture of different wavelengths – red light has the longest wavelength and violet the shortest. Most of the light of the shorter wavelengths (orange, yellow, green, blue, indigo and violet) is removed from this light bent by the Earth’s atmosphere by a process called scattering, which I discussed in an earlier post https://thesciencegeek.org/2015/09/30/why-is-the-sky-blue/ . The same effect causes the western sky to be red after sunset on a clear day. Interestingly, if we could stand on the surface of the Moon during the eclipse we would see a red ring around the Earth. 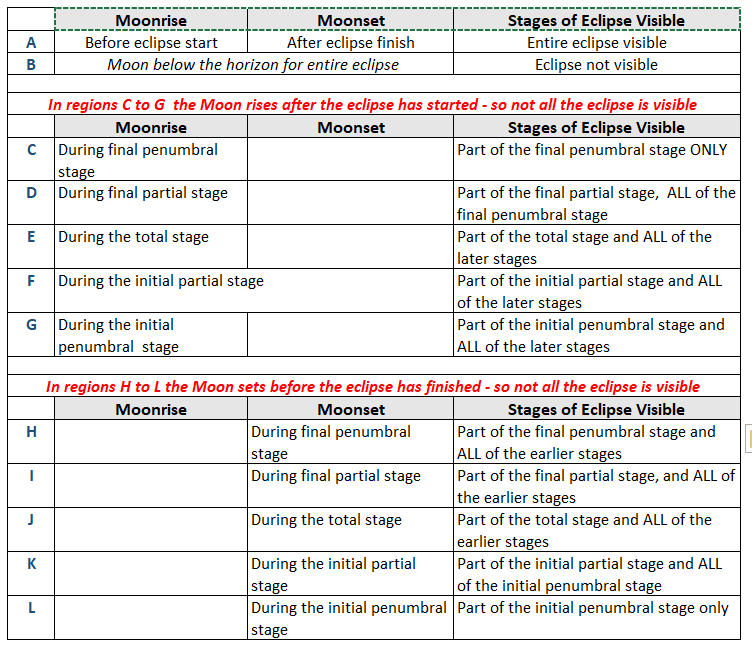 The Moon will emerge from the total phase (point U3) at 5:43 AM, the partial phase (point U4) will end at 06:51 PM and the eclipse will finish (P4) at 07:48 PM. Not all areas of the world will be able to see the entire eclipse. This is because the Moon will have already set after the eclipse starts or will not have risen before it finishes. Other places in the world will only be able to see part of the eclipse. In Warsaw, Poland the Moon will rise at 15:10 local time (UTC+1) on January 20 and set at 07:48 the following morning. So viewers will miss part of the final partial phase and all of the final penumbral phase because these will occur after the Moon has set. In San Francisco, California, which is eight hours behind UTC the entire eclipse will be viewable and will take place on the evening of 20 January. I have adapted the diagram below from NASA (2009) and this shows where in the world the eclipse can be seen. How often do lunar eclipses occur? Although the Moon takes roughly a month to orbit the Earth, lunar eclipses do not occur every month. The Moon’s orbit around the Earth is tilted at about five degrees with respect to the Earth’s orbit around the Sun, as shown below. This means that during most lunar months, as seen from the Moon, the Earth passes just below or just above the Sun rather than obscuring it. There are only two time windows in a year when a lunar eclipse can occur. These two points are known as the nodes (See note 2). 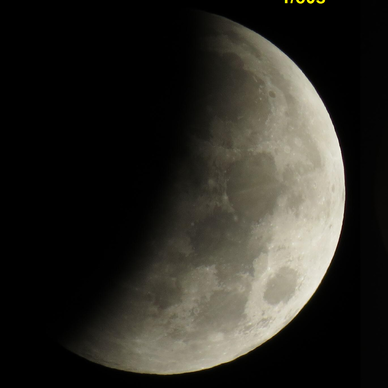 Even then most lunar eclipses are partial eclipses where the Earth only partially covers the Moon. I hope you’ve enjoyed this post. To find out more about the Science Geek’s blog, click here or at the Science Geek Home link at the top of this page. Although the term Greenwich Mean Time (GMT) is often used in popular writing it is no longer used by astronomers. Instead, they use two different times which agree with each other to within 1 second. In common use, GMT is often taken to be the same as UTC, which is the approach I have taken for this post. However, it can also be taken to mean UT1. Owing to the ambiguity of whether UTC or UT1 is meant, and because timekeeping laws usually refer to UTC, the term GMT is normally avoided in precise writing. 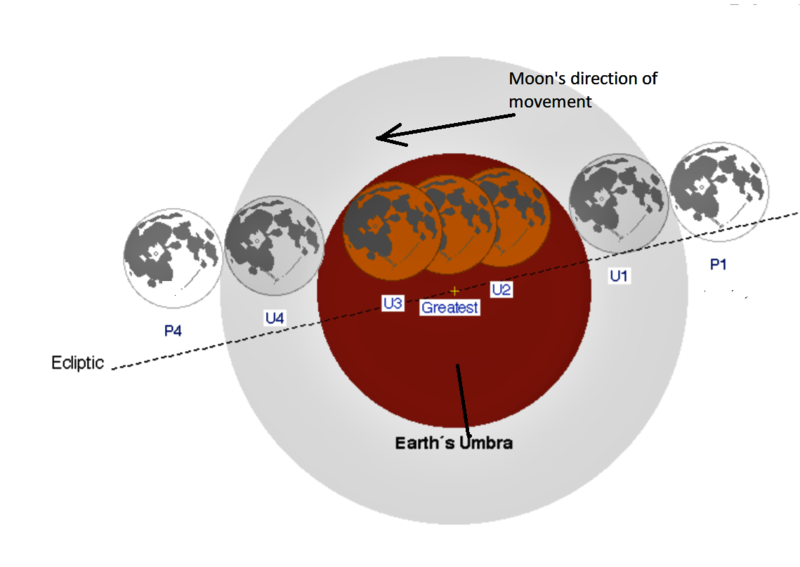 The two nodes when a lunar eclipse can occur aren’t the same dates every year but change from year to year due to an astronomical effect called precession of the line of nodes. Thank you! So this year, being in Cape Town, we will not be able to see the eclipse as well as last year! A lunar as well as a solar eclipse occurs when the Earth, the Moon and the Sun are aligned and therefore tides are higher than normal. I would like to see an article (please!) on proxigean tides, what are the factors involved and how often and when they occur. Looking forward to it! The proxigean tide we had here some 3 or 4 years ago were quite spectacular. Always love your work and your thoroughness. Thank you for this information! Better luck maybe seeing this one than the last – in spite of unsociable hours. Thanks for alerting us to the Lunar Eclipse which I did get up to see in clear (ish) skies in the North West of England. It was spectacular and the additional accompaniment of a hooting Owl added to the experience. 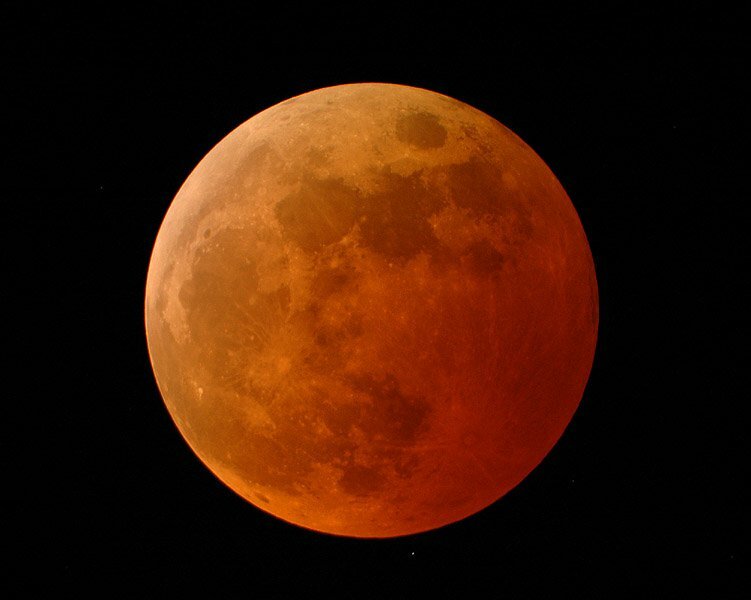 The redness of the ‘blood ‘ moon used to portend disastrous events amongst primitive civilisations, and may even have precipitated them in some cases, but not necessarily amongst people like me – spare a thought for those of us with red/green colour blindness! Sound great! and was undoubtedly worth getting up at an unsociable hour for. It must very atmospheric with the hooting owl! !